Nyko's new 3DS accessories are both excellent and horrible reminders of the way we live now. 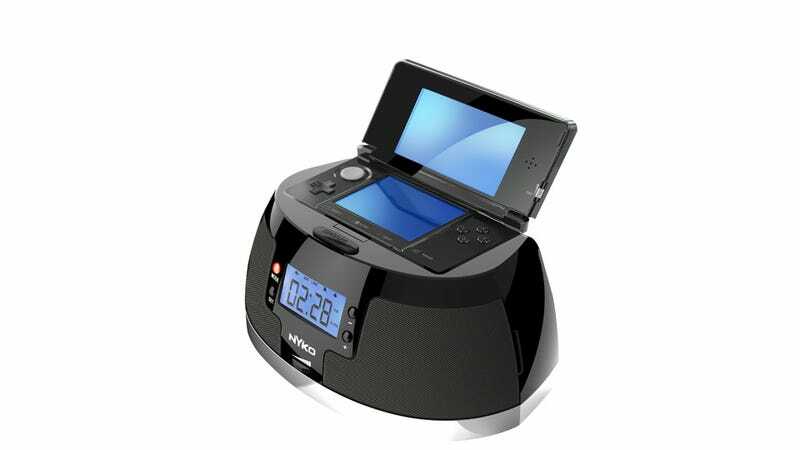 First, a horribly frankensteinian alarm clock/charging dock/speaker system, the Play Dock. If you can dream it, it can be crammed into an alarm clock. And lastly, Game Boost, a quick snap-on battery pack for extra hour or two of juice.